I absolutely love this collectible! 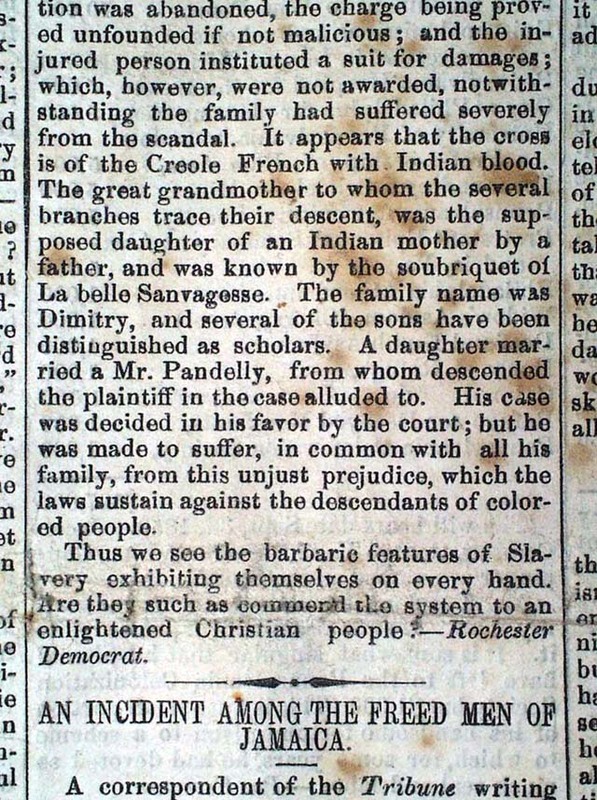 We had in our possession for a number of years an original issue of the Frederick Douglass’ Paper, dated March 17, 1854. It certainly was a grand paper – it being a continuation of Douglass’ North Star. However, while the notoriety of the title was well-established and the angst of slavery oozed throughout, it was a 21st century movie which infused new life into it’s weary 150+ year-old raglinen pages. 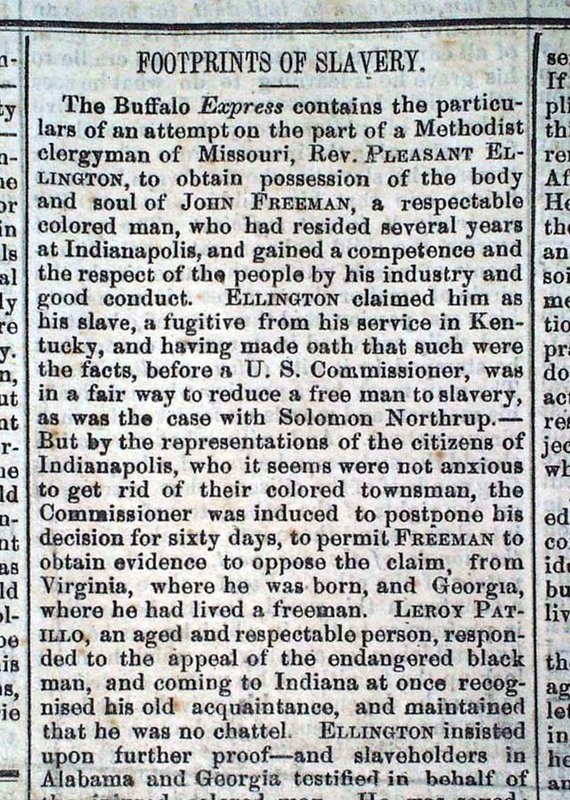 A collector recently went to see the theatrical adaptation of “Twelve Years a Slave – The Memoir of Solomon Northup“, and was moved to visit the Rare & Early Newspapers‘ website to see if we had newspapers with his mention. Searches for his name were unsuccessful – but this collector was not to be deterred. Having previously viewed the Frederick Douglass’ Paper in question, he took the next step and began to go over the corresponding images with a fine-tooth comb. Success. The newspaper was not only noteworthy for its editor and rarity, but it also had an article on the front page with mention of Solomon Northrup (see below). Fantastic. Like I said, I love this collectible!